Birmingham experiences very erratic weather, including frequent flooding, tornadoes and freezing rain and snow, and this is why you should contact the water damage Midfield experts with 911 Restoration Birmingham for immediate assistance. These severe weather patterns make a huge impact on the residents of Midfield, making water damage a common occurrence. The water damage Midfield pros know how to repair all types of water damage, no matter where the source of the problem comes from. 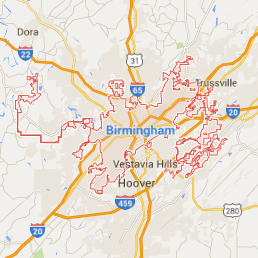 911 Restoration Birmingham is a fully licensed, bonded and insured operation, making us a safe and reliable company. Our Midfield flood remediation crew are trained in thoroughly extracting moisture from your home, preventing further structural damage and protecting your possessions. Our leak repair specialists want to help you as soon as you discover water in your home, so the Midfield offices make sure to stay opened 24/7/365 and will dispatch service agents to your home within 45 minutes of your emergency call. We offer same day service to all of our customers, because we never want you to wait for assistance during a crisis. From storms and snow to pipe bursts and hose ruptures, our water extraction professionals can handle it all. Our main priority, above all else, is maintaining quality customer service, no matter the circumstances of the damage are. Our Midfield techs want the customer to know that they will do anything they can to protect them when water damage impacts their lives. 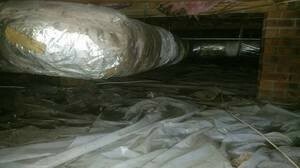 Not only will we remediate the water damage in the home, but we will give a free visual inspection to check for mold. Call the Midfield water damage agents when you experience a flood in your home, because we want to work immediately in order to minimize the damage. 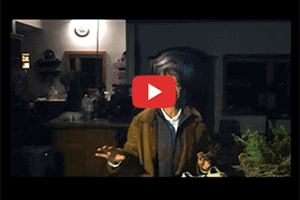 When our technicians arrive on the scene we will immediately begin the restoration process, enabling us to get you back in your home in no time. 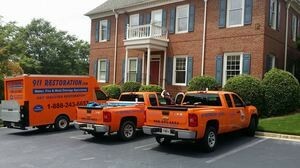 Call our flood extraction pros to receive your free water damage estimate. This will help everyone to be on the same page from the very beginning, ensuring no surprise fees. 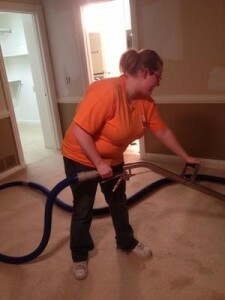 911 Restoration Birmingham makes sure to have the most competitive rates in the area, allowing the Midfield water damage crews to serve the entire community. Our staff will also help you when dealing with your insurance company to try to get you the lowest deductible possible. The IICRC certified Midfield flood extraction team implements the most advanced water removing and drying technology to get your home safe again. Call our Midfield water remediation technicians to get help filing your claim. We will assist you with filing the paperwork, communicating with reps and receiving your payout. Let us help you recover from water damage, and lead you into a fresh start.